Japan is Comming with new innovation, Japan now working new technology and innvations Invisible train.The Time Japanese architect has unveiles truly futuristic concept.The Speed of this (Invisible train) up to 580Km /Hr.This invisible train will be carrying passengers too faster in Japan. The invisible train is scheduled to go into service in 2018 and is expected to cover more than 178 km (111 miles) across the country. 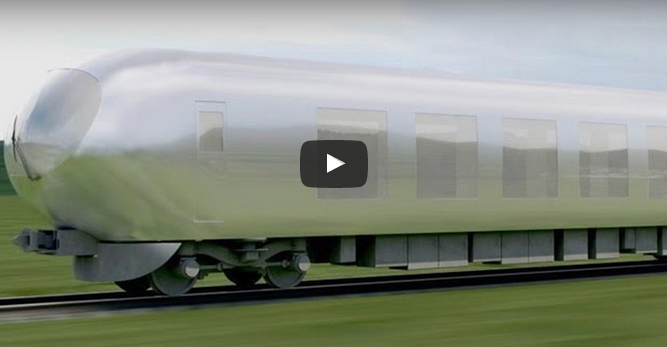 The Design of Invisible Train is made by Kazuyo Sejima from Japnese Firm Sanaa.Japan Doing creative everytime. The world faster train also made by japan. The world faster Train speed is 603 KM/HR.